For most people, the word design conjures up images of fashion, interiors, and other material goods. 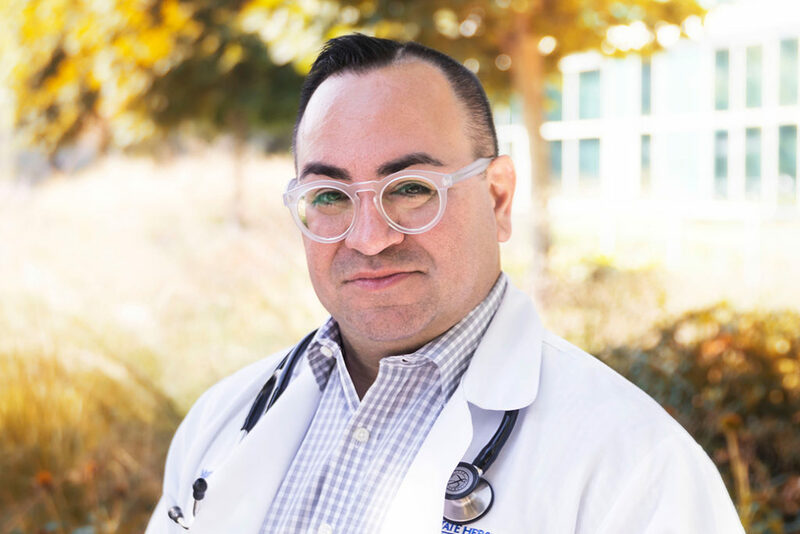 For practicing physician and assistant professor of emergency medicine Dr. Manuel Hernandez, design is a tool for transforming healthcare services from a clinical, operational, and physical perspective. To that end, he enrolled in the Global Executive MS in Strategic Design and Management (GEMS) at Parsons School of Design, which adopts a hybrid approach to learning tailored to the needs of working professionals. The program combines online coursework with on-campus intensives held in New York, Paris, and Shanghai. The program, which graduates its first student cohort this year during a public symposium at the Parsons Paris campus, educates emerging leaders seeking to take their place at the forefront of innovation in their organizations. In 18 months, students learn to lead change and apply real-world, 21st-century best business practices that have immediate and future impact on today’s global economy. As a GEMS student, Hernandez joins a robust and diverse network of professionals from a variety of backgrounds, including entrepreneurs and executives working in industries such as marketing, media, retail, communications, new technologies, finance, and government. At Kahler Slater, an award-winning architecture, interior design, and environmental branding firm, Hernandez will apply the skills he has learned to improve the health and wellness of communities by optimizing care delivery, operations and the patient and provider experience with the goal of empowering stakeholders and returning respect, dignity and compassion to the entire healthcare continuum. “Since becoming part of the Parsons community, I also see an opportunity to lead by example, showing others in the healthcare industry how design can be employed to solve challenges that have vexed the healthcare industry for decades,” he adds. The GEMS program is just one of the many ways The New School applies design education and cross-disciplinary collaboration to improve healthcare services. Recently Parsons Fashion Design students worked with healthwear company Care + Wear to redesign the hospital gown, while a team of MS Strategic Design and Management students created sanitary products for the Indian market (a project funded through Venture Lab). As a healthcare designer who remains clinically active, Hernandez has access to unique insights into the challenges faced by patients and providers. After completing the GEMS program, Hernandez will be better able to serve those groups by employing design methodologies to transform clinical environments.